Opening a Current Account is one of the essential requirement while starting a business. Although it is easy to open a current account it is difficult to identify the best bank offering Best Current Account Facility. There are numbers of public and private sector banks offering a wide range of current accounts. If you are aspiring entrepreneur and planning to open a new current account or if you are not satisfied with services of your bank. I have something interesting for you. I am herewith detail of 5 Best Current Account for Small businessmen in India. Given a chance how you will select any bank account? Well, I am sure that you will shortlist and select a bank account based on the interest rate offered by the bank. You are correct up to the extent that interest rate plays a major role in selecting bank account. However, it is not true in the current account. You will not get any interest in Current Account. Thus, for the selection of a current account, you need to consider various other factors rather than considering interest rate. Let’s take a look at What is current account and factors you should consider for selecting a current account and which are best and most popular current bank accounts in India. A current bank account is an account used to facilitate current day-to-day banking transactions. These types of accounts are for business people who perform high volume truncations on daily basis. Current account also offers the facility of overdraft this means you can withdraw money despite non-availability of balance. This facility helps business person to manage working capital requirement of business. Currents accounts do not earn any interest due to the flexibility they offer. This type of account is best suited for businessmen, proprietorship and partnership firms, companies and public enterprises. Current Bank Accounts are opened by business people for doing business transactions. It is non-interest bearing account. This means the bank will not pay any interest on the deposited amount. One needs to maintain minimum balance which is higher compared to saving bank account. The bank is entitled to charge a penalty if the minimum account balance is not maintained. This type of account provides overdraft facility. This means withdrawal of additional money possible based on the limit set by the bank. Bank charges interest on overdraft amount borrowed from the bank. There is no restriction on number and amount of deposit and withdrawal from a current bank account. Holding a current account improves your creditworthiness and proves that you are seriousness in conducting business transactions. There is no restriction on deposit made in the current account. Additional overdraft facility helps businessmen in performing a smooth operation for the business. This account helps businessmen to make direct payment to the creditor by issuing cheques and demand draft without any delay. One can get value added services such as multi-location fund transfer, free inward remittance, free pay order & free demand draft services. Some banks also offer personalized services and dedicated customer support. You should consider following factors while making a selection of current bank account. A first point is the location of bank and accessibility. A Bank should be nearby your business location and accessible as per your business need. It should provide internet banking, mobile banking and good ATM network/bank network as per your business requirement. One should also look at overdraft limit offered by bank along with the ability of a bank to arrange for an overdraft with an agreed limit. Minimum Average Monthly Balance is one of the important factors for the selection. If you are starting your own business at initial stage you will be in need of money so it is better to select an account with Minimum or Zero Average Monthly Balance requirement. One should also compare service charges applicable to various services such as demand draft, cheque book facility, online fund transfer, debit card etc. Ease in Banking transaction and personalized services is another factor one should look at. If cost is not concern one should select bank offering premium services for business. ICICI Bank offers a wide range of current bank account. This includes New Startup Current Account, Subhaarambh Current Account, Smart Business Account and Roaming Current Account. If you are starting a new business you should consider New Startup Current Account or Subhaarambh Account. I have recommended New Startup Current Account (iStartup Account) considering following features and benefits. A special benefit of meeting venture capitalist and private equity player via bank. Dedicated Forex Service and advisory. Personalized services including advisory and consulting. Free cash deposits up to 12 times the maintained average balance. Free RTGS, NEFT, Chequebook facility. Free Internet and Mobile Banking solution. Like every other bank HDFC Bank also offers multiple options for a current bank account. This includes Ultima Current Account, Apex Current Account, Max Current Account, Plus Current Account, Premium current account and Smart Up Solution for Start-Ups account. I have selected Smart Up Solution account as it is most suitable for people starting own business. You can select between SmartUp Alpha (zero balance for a year) and SmartUp. Additional services such as advisory services, digital marketing, and co-working spaces. Free cheque collection and payment services. Free RTGS and NEFT services. Digital ready platform with internet banking and mobile apps. 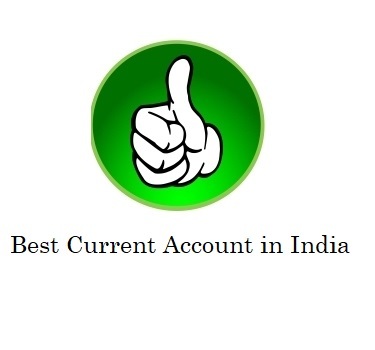 Axis Bank Zero Balance Current Account is second best current account in the list. In this account, you can enjoy zero balance facility. The special features of this bank account are given below. No constraint on managing the minimum average balance. 75 Free Transactions per month. Annual Charge is applicable (Rs.1999). One can get a rebate on annual charges provided MAB exceed Rs.50000. Enjoy a awide network of bank and ATM. Axis eDGE reward program for various transactions/services. Axis bank offers a wide range of current account make sure to go through details of other accounts. Kotak Mahindra Bank offers multiple options for current bank accounts like Neo, Start-Up Regular, Start-Up Premium, Global Trade, Ace etc. I have selected Neo Current account as it is suitable for small business setup. Key features of Neo Current Account is given below. Value-added services for a business like taxation, workplace, marketing, travel and digital media solutions. There are various variants of Yes Bank Current Account like Edge Business, Prime Business, Exclusive Business and Yes Head – Startup Account. Yes Head-Startup account is suitable for startup and small business. Note – While evaluating bank account I found public banks are not offering personalized services or good customer support so, I have not considered these banks while preparing a list of Best Current Bank Account. I hope now you are aware of current account and applicable features. You should act wisely and analyze all banking requirement before opening a current bank account with the bank. Personal Loan or Overdraft Facility – What should you choose and Why? « Top up Loan Vs Personal Loan – What should you choose and Why?